Few military leaders rise to iconic status and are worshipped by the nations they serve long after they’re gone. Few weapon systems utilized in their careers share the adulation of these heroes. Vice Admiral Horatio Nelson, R.N., and HMS Victory clearly belong to this tiny coterie, subjects of veneration in Great Britain and by maritime services around the globe. Nelson’s life is the stuff of legend. The small, frail son of an Anglican vicar, he went to sea at twelve. Despite lifelong seasickness, he served as a midshipman and commanded men in his early teens during extensive sea service. He earned a lieutenant’s commission at nineteen and was appointed post captain before he was twenty-one. For nearly twenty years before his promotion to flag rank, Nelson built a strong reputation for fearlessness and aggression in a host of battles and campaigns on sea and land. Wounds cost him the sight in his right eye and his right arm, amputated after the assault at Santa Cruz de Tenerife. He persevered, winning remarkable victories at the Nile and Copenhagen before achieving immortality at Trafalgar where he died, struck down at the apogee of an epic battle that ended any possibility of Napoleon’s planned invasion of England. Nelson was forty-seven years old at Trafalgar. Despite a scurrilous private life marked by infidelity and scandal that he consistently defended as acceptable, Nelson earned titles and honors at home and abroad, along with the love of his naval superiors and subordinates, nation, and countrymen. To this day, he serves as the standard for effective naval command. 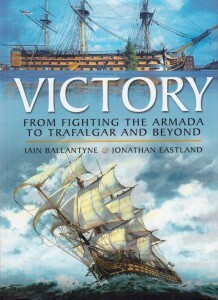 Victory, the subject of this volume first issued during the 2005 bicentennial of Britain’s victory at Trafalgar, was intertwined with Nelson’s entire life and naval career, although he neither served on nor commanded her until she became his fleet flagship in 1803. The Royal Navy’s Admiralty authorized her construction in 1758, the year of Nelson’s birth. The seventh vessel to carry the name, Victory took six years to complete and remained moored until 1778, the year before Nelson was appointed post captain. Victory, in the classification of the day, was a first rate ship of the line, displacing 3,500 tons at commissioning. She had three gun decks, and her armament ranged from 92 to 104 muzzle-loading cannons. At Trafalgar, the ship carried thirty 32-pounder guns (the weight of the cannon ball), twenty-eight 24-pounders, forty-eight 12-pounders and two 68-pounder carronades. This meant the weight of a full broadside totaled about 1,100 lbs. Broadsides were often fired against wooden hulls within just feet of the cannons’ muzzles. The full ship’s company numbered 850, although at Trafalgar it was 830 sailors served on board, including Nelson, his staff, and servants. The average age was twenty-two. The youngest crewman was ten or twelve; the oldest was sixty-seven. Most of the ship’s complement served the cannons, with fifteen assigned to each of the great guns on the lower deck and ten or twelve on the lighter weapons. Victory was not the largest warship afloat, but she was admirably suited to Nelson’s strategy of annihilation, a mission he imbued in every ship under his command. Victory served with distinction for thirty-four years, retiring in 1812. She moored in Portsmouth as a stationary flagship or training vessel. She remains today in dry dock, a permanent memorial to the age of fighting sail. Despite her immobility, however, Victory is still commissioned, the oldest such ship in the world, and she has served since 2012 as the flagship of the Royal Navy’s First Sea Lord, the RN’s senior uniformed officer. 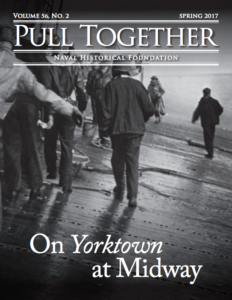 The authors (a journalist and author specializing in military affairs and a maritime photographer and writer) have prepared an admirable volume on a great ship and symbol of naval prowess. In addition to utilizing rarely quoted primary sources and providing a comprehensive summary of Victory’s service, they set the stage with narratives covering the history of the vessel’s early namesakes that extends to 1560 and service that included the defeat of the Spanish Armada. Succeeding ships fought in the English Civil War and against the United Provinces (Netherlands), France, and Spain. The sixth vessel to hold the name, at the time the fleet’s largest ship, was lost with all hands in 1744, its wreckage only discovered in 2008. Given its original publication date, it is not surprising that Victory also advocates strongly for adequate operational funding for the Royal Navy, a subject of intense debate at the time but since settled (and not in the RN’s favor). 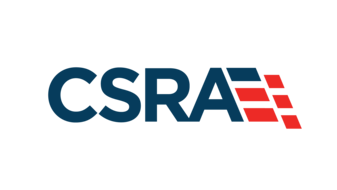 The service now operates just 79 ships and submarines, with only 19 large surface combatants. Still, HMS Victory continues to serve in the fleet. Now managed by a private trust that sponsored an extensive and expensive restoration to the glory days of Nelson and Trafalgar and leases the ship to the Royal Navy. Victory hosts 350,000 visitors annually from around the world and celebrated its 25 millionth guest in October 2012. The great ship is still stout, but its venerable timbers no longer bear the weight of her guns; the cannons are now fiberglass replicas. Nelson and HMS Victory reflect a fading but wonderful past, worthy of serious study and considerable admiration. Dr. Satterfield teaches college and is an active member of the Nelson Society and the 1805 Club. His latest book, Saving Big Ben, is available from the Naval Institute Press.